Deputy Defense Minister Valery Gerasimov on Saturday revealed the essence of the new strategy of warfare against Russia ” Trojan Horse “, which the Pentagon began to develop. The Americans intend to use the protest potential of the so-called fifth column to destabilize the situation and at the same time deliver high-precision strikes on strategic targets. At the same time, Gerasimov assured that Russia is ready for retaliatory action against any strategies. MK has figured out how we will defend against the Trojan Horse and what our internal problems the US can use against us. The fact that the United States is developing a new strategy for waging war against Russia and China became known at the end of February, after the speech of the Chief of Staff of the United States Air Force David Goldfine at the Brookings Research Institute. 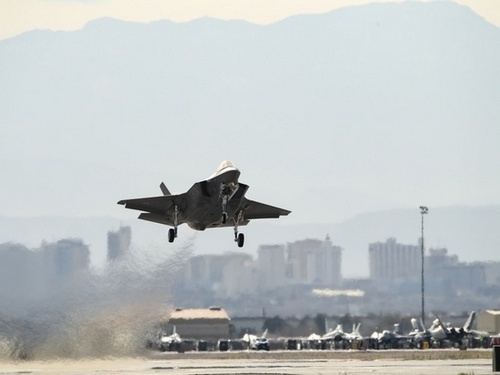 The general said that the rate will be made on the low-profile F-35 fighter bomber, which will be used as a coordination headquarters for the offensive. A “hidden invasion” into the depths of the enemy’s territory and attacks on its weak points are supposed. However, the American did not disclose any particular specifics. Western media immediately noted that it is unlikely that the “weak sides” refer to the technical capabilities of the opponents – Russia and China possess the latest modern weapons and technologies. From this point of view, the US strategy is definitely doomed to failure, the military expert Igor KOROTCHENKO is also confident . “We have the means to neutralize US plans,” he says. – The RF air defense system currently being created includes radar stations that control the airspace around the Russian borders for several hundred kilometers into the interior of neighboring countries. Therefore, the fact of attempts to penetrate unobtrusive fighters and other high-precision weapons into our airspace will be opened in advance. And then comes into action firing component. We have created a layered system, which includes including long-range anti-aircraft missile systems S-300 and S-400. In the coming years, the S-500 will also appear, which will hit targets not only in the air, but also in near space. As for the connection of the “fifth column” to loosen the situation in the country, the military does not do this – it is a functional of the special services and law enforcement agencies. “Knowing the love of the United States for the overthrow of any regimes in any country, we can already speak about some classics — when unrest is provoked somewhere, and then American troops enter. – Where is this script successfully implemented? – The most recent example is Libya, 2011. Then the usual, one might say, annual conflict began: someone in Benghazi launched an attack on Tripoli, as always happened. But here all Europeans got into it. Americans, of course, provoked the conflict. Admit that Sarkozy, who had just returned France to the structure of NATO, suddenly turned out to be the leader of the activities of the bloc and the military operation, America could not. The United States destroyed the Gaddafi regime. But in Syria, where the same thing was going to happen, nothing happened. Because Russian videoconferencing systems appeared there, and this disgrace ended quickly. – It turns out that the main guarantor of our security now is the further successful development of video conferencing systems? – Not only. The development of the defense industry and the normalization of the situation in the space sector must also be successful. And think: why is the “polar” military district so important to us now? Why is Crimea so important? And why is the base at Hammine so important? There, our military keep the Eastern Mediterranean and, if necessary, cut off the enemy’s path to the Black Sea. The General Staff and the Ministry of Defense in general are working. Our military is working, regardless of who declared what. And it is very happy. – What are the Americans counting on with their “Trojan horse”? – In Libya, the Americans provoked a conflict, although the people under Gaddafi lived quite well. And how can they act when there are internal problems? Gaddafi had a tribal theme that we don’t have. Their power struggles. Territorial separatism. And there is a very important factor – religious separatism. We have no such problems. And there will not be – until the introduction of theology in the minds of our population becomes irresistible.